Border Patrol agents patrolling Monday along the river near Brownsville saw three people trying to enter the U.S. illegally. An agency statement says the trio abandoned a bag and returned to Mexico. Officers discovered the cub stuffed in the bag. 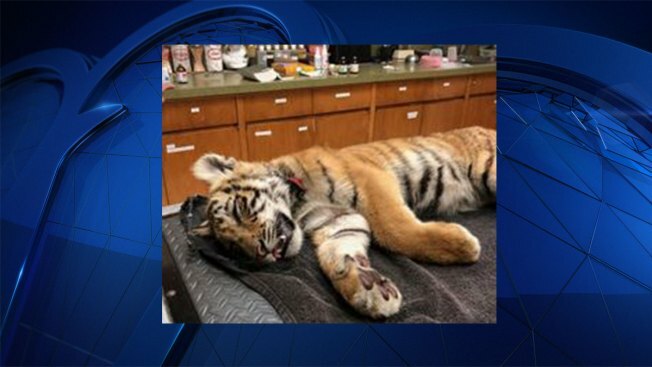 Agent Robert Rodriguez said Tuesday that the tiger appeared calm and was possibly sedated.